The first thing you’ll notice after upgrading is the new dashboard. This is based on MP6. MP6 is a plugin put together by core developers at WordPress to split out the admin UI. You have the option to change this theme’s colouring through Users | Your Profile. It’s nice to note also that WP admin system is now fully responsive too, meaning you now have even more reason to blog on the move! It might take some getting used to, but I think this sits nicely alongside Metro applications that are becoming the norm for a lot of apps being released cross platform at the moment. 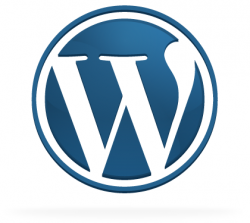 Along with the new admin system, WordPress 3.8 also introduces the Twenty Fourteen Theme. WordPress.com has a demo available which shows off it’s features a lot better than the HELLO WORLD example that is in a standard RC2 release. Much like Twenty Thirteen, this theme is fully responsive and really reflects the latest standards and highlights that WordPress is being used to create engaging content rather than boring looking posts. There aren’t any great feature enhancements with the 3.8 release (although the widgets section is laid out better in the admin system now)  but WordPress 3.8 certainly sets out a more sleaker interface for the future.